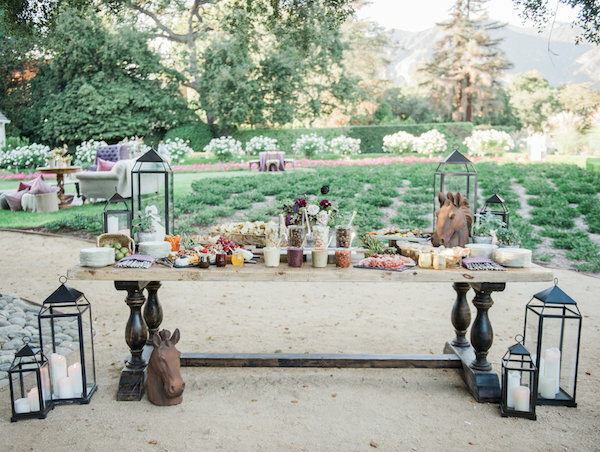 What a welcoming ceremony set up! 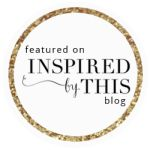 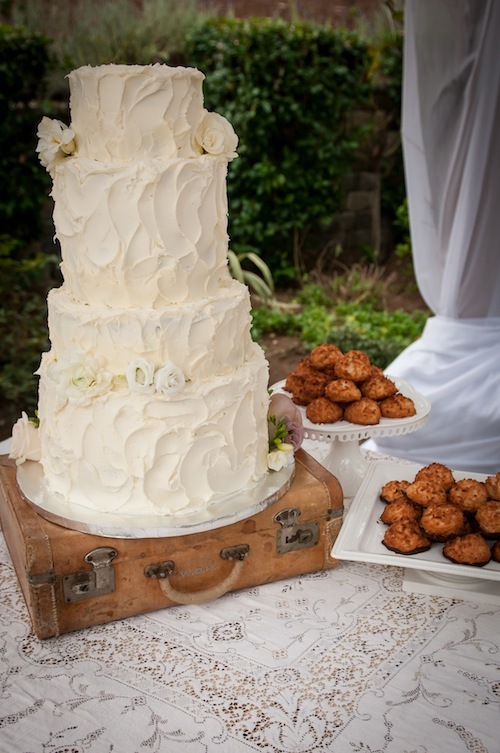 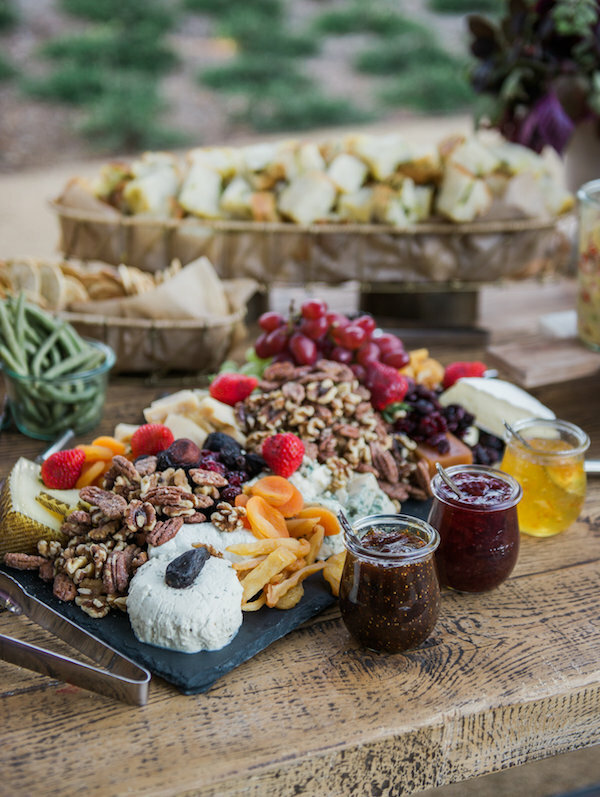 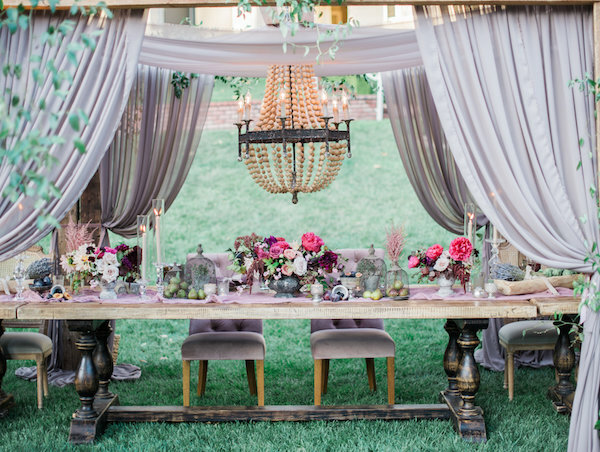 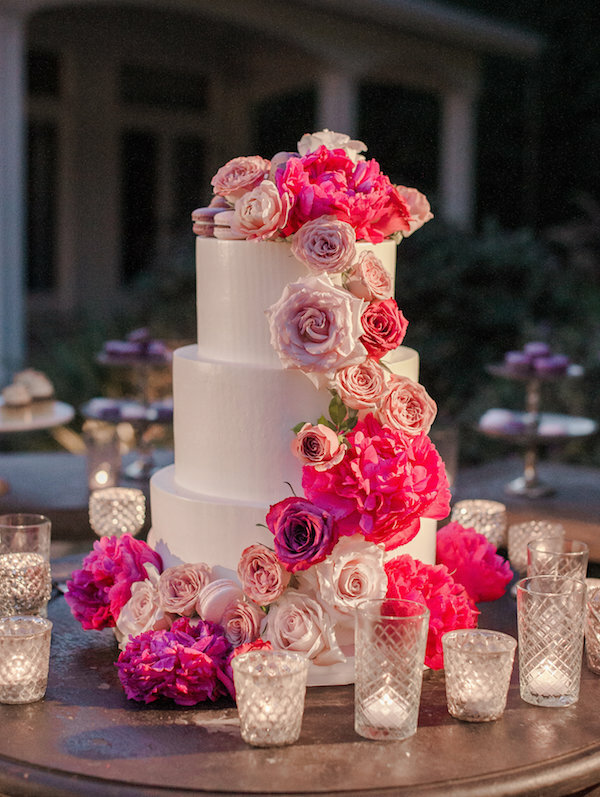 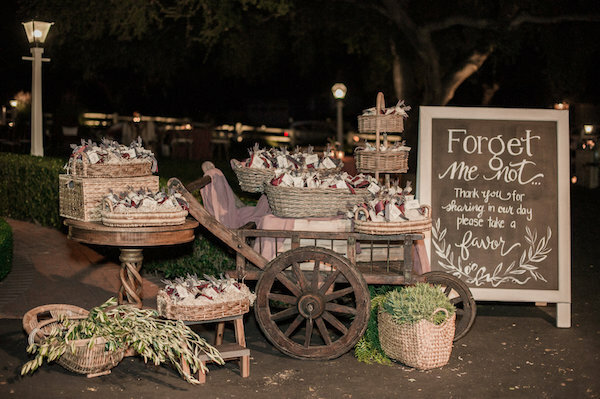 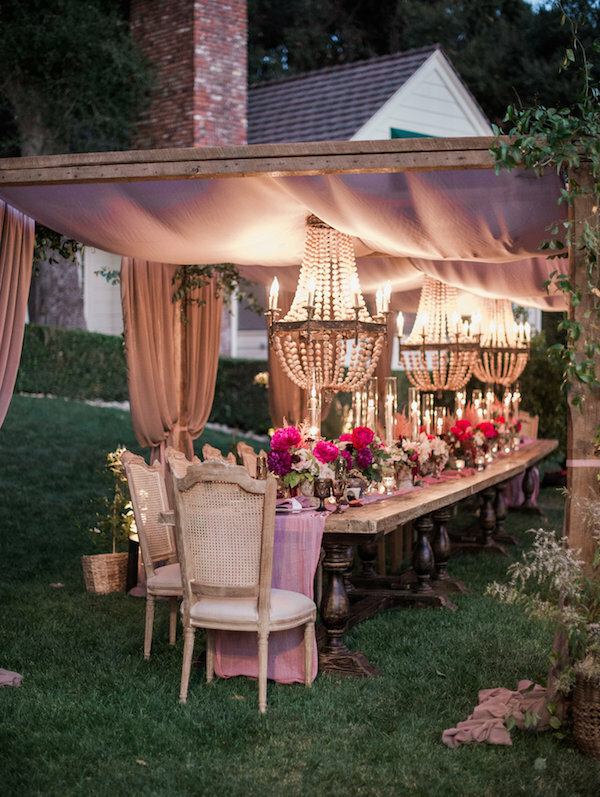 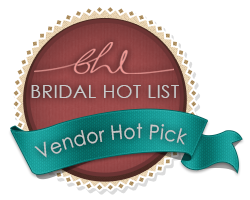 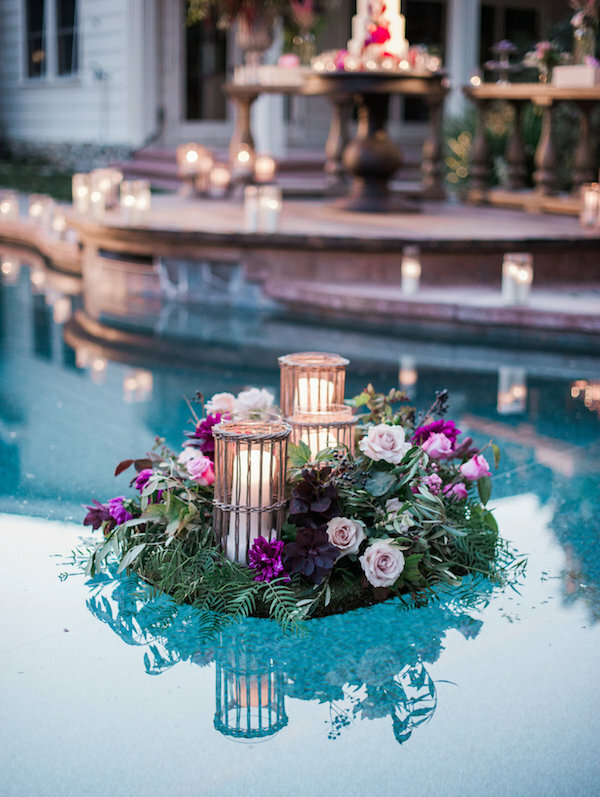 This is definitely a found favorite, by Karson Butler Events. 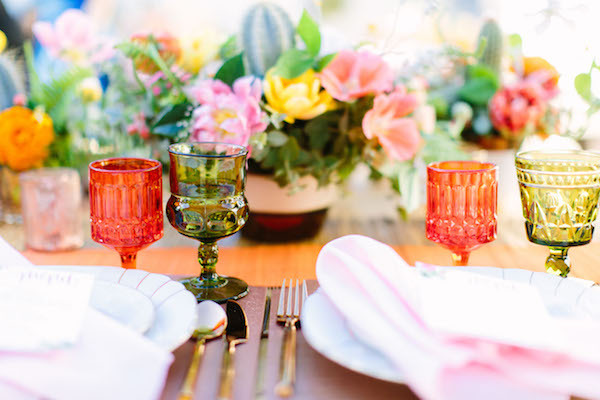 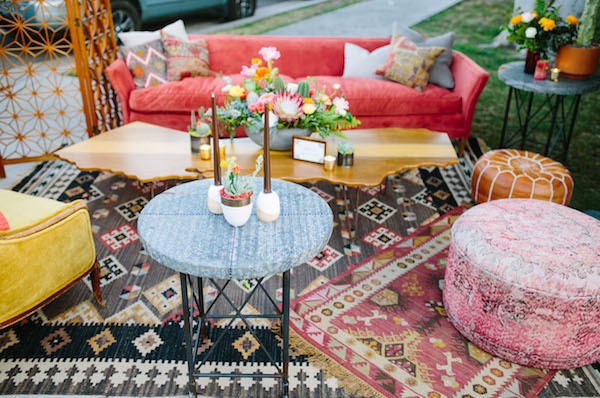 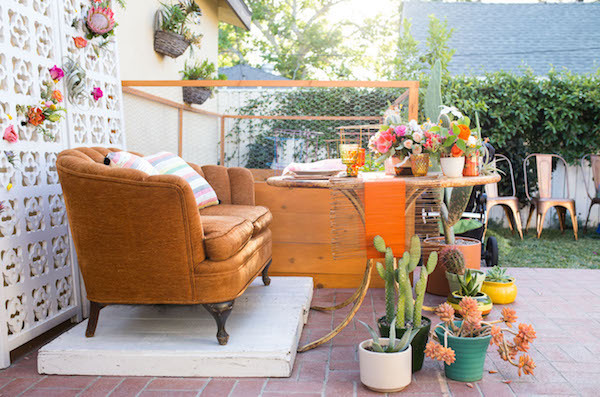 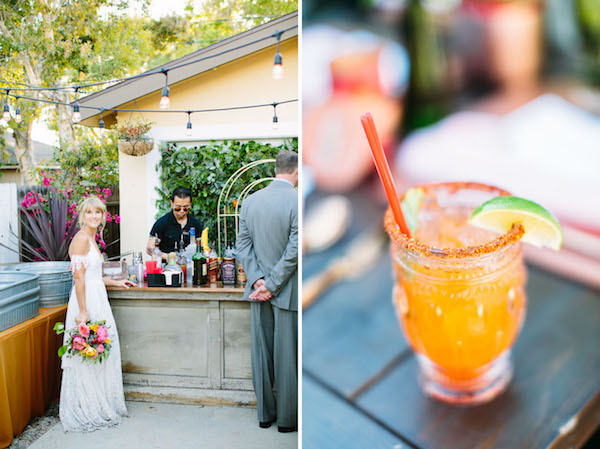 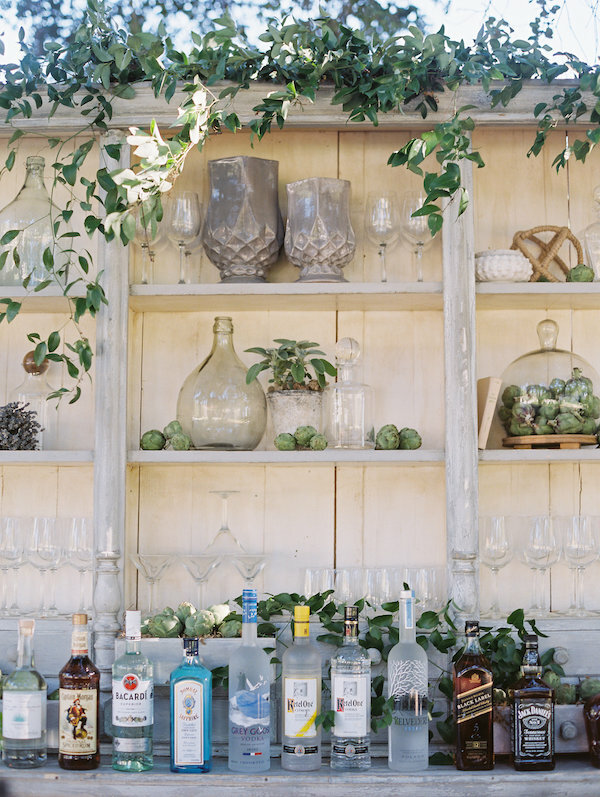 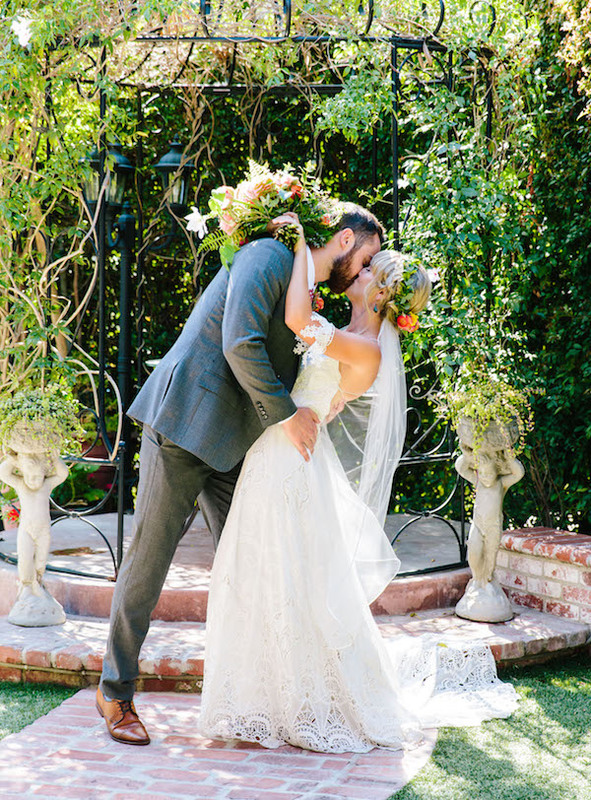 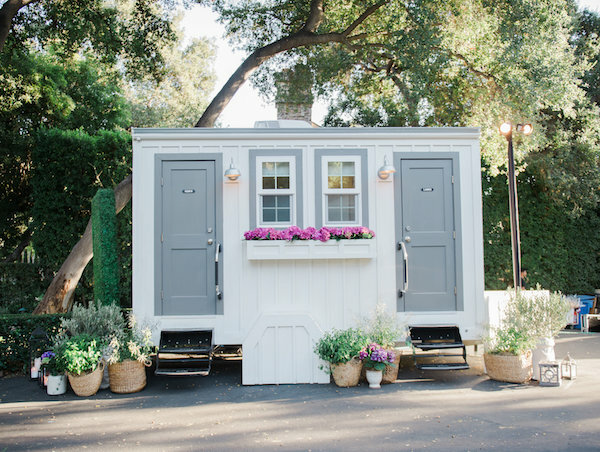 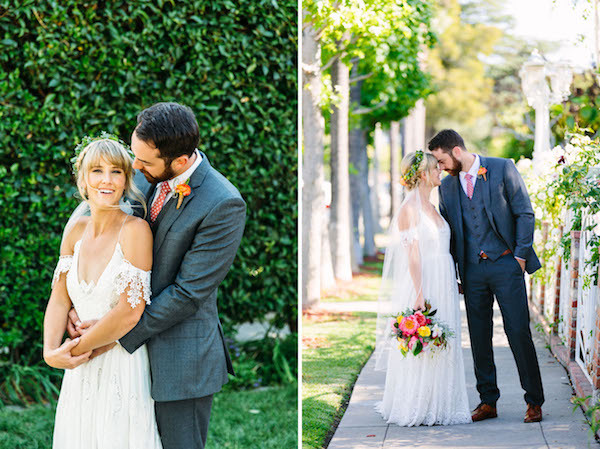 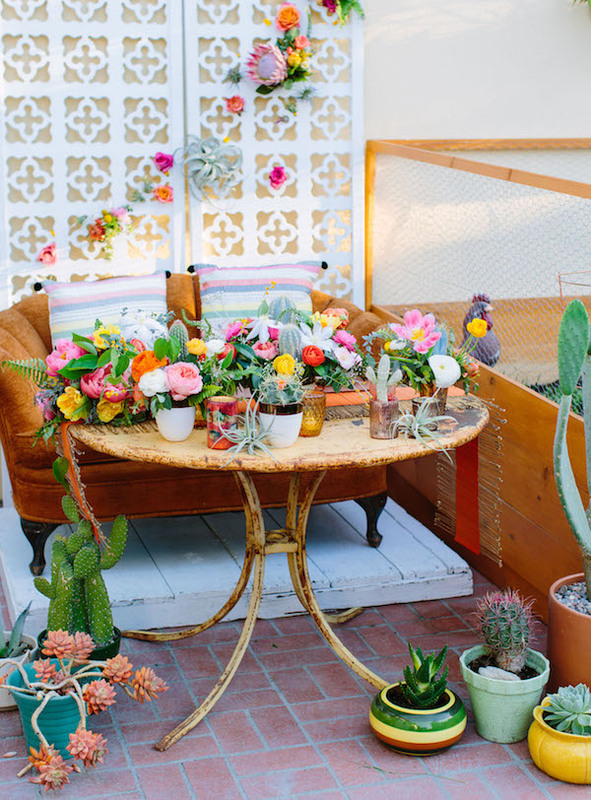 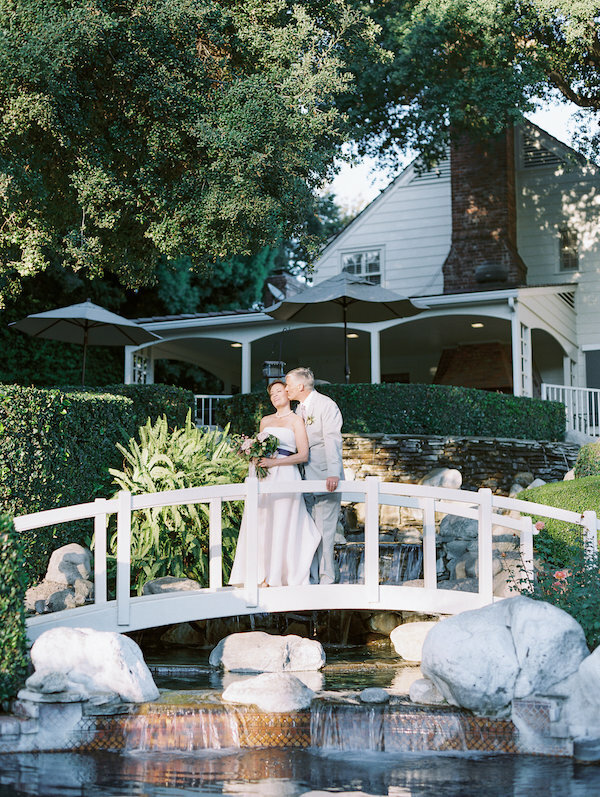 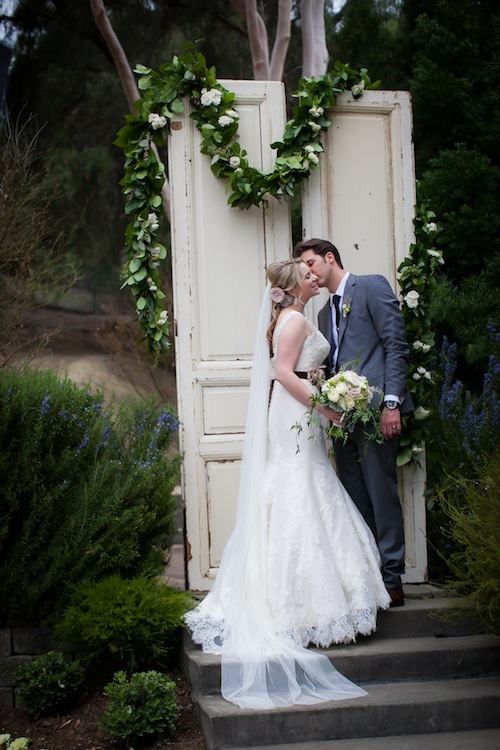 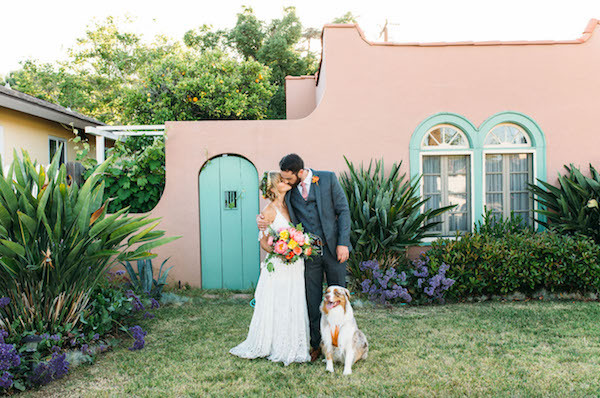 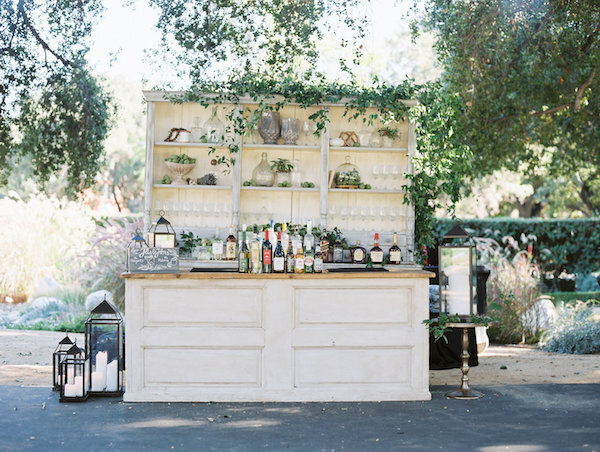 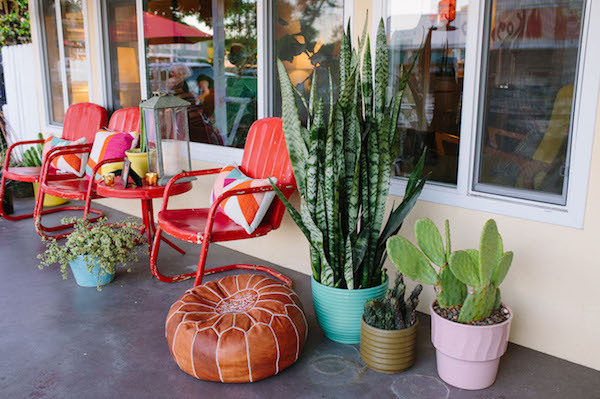 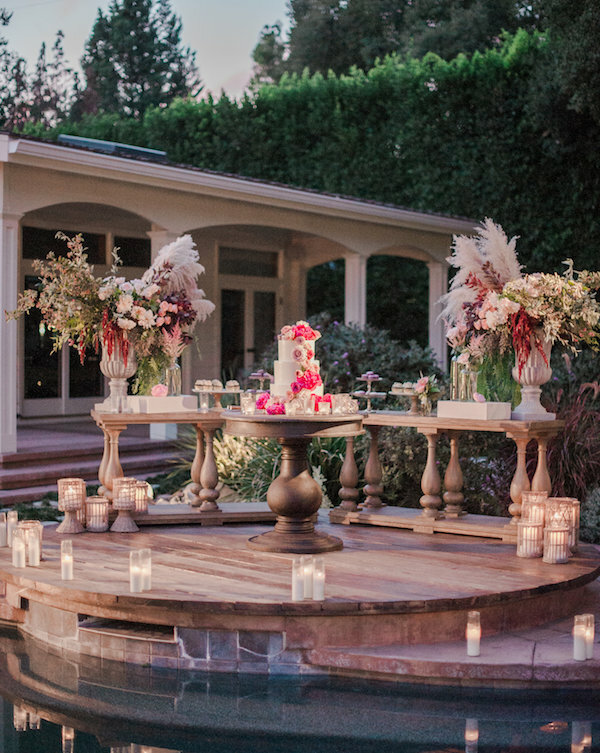 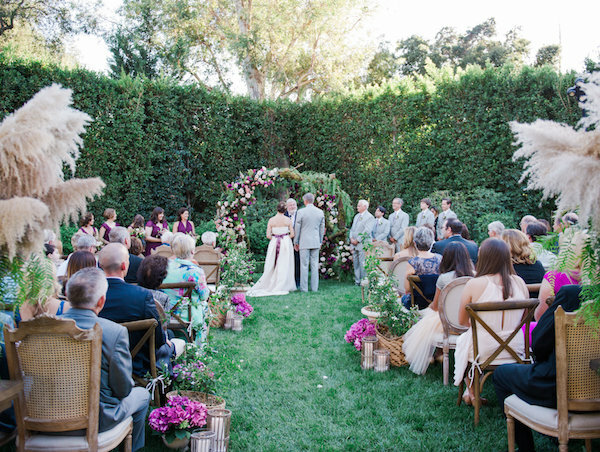 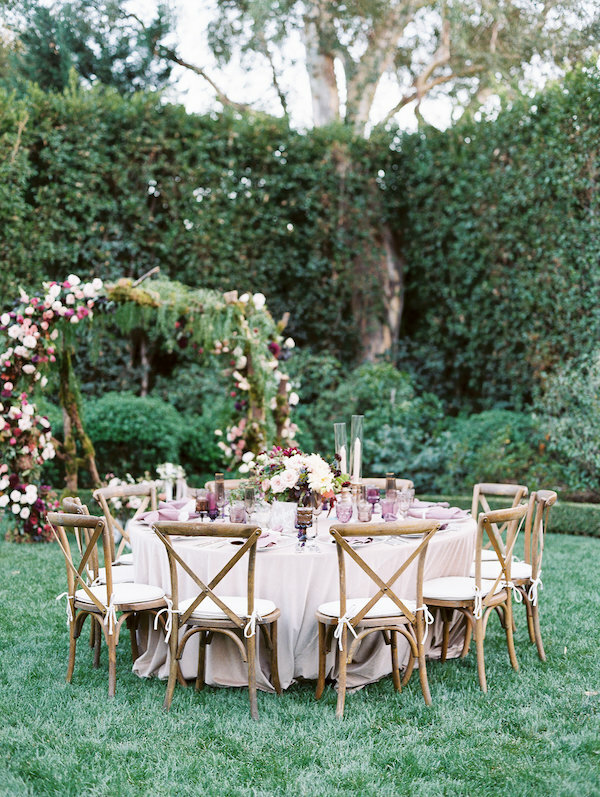 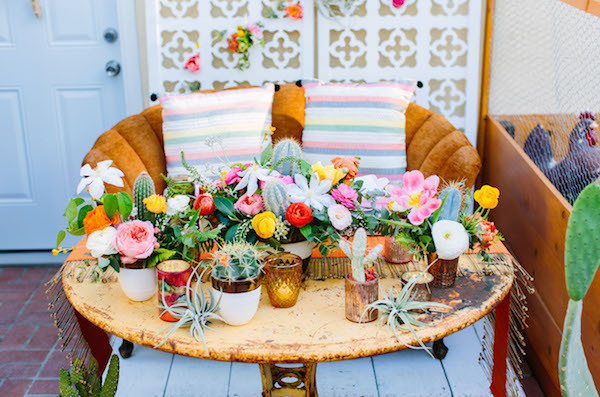 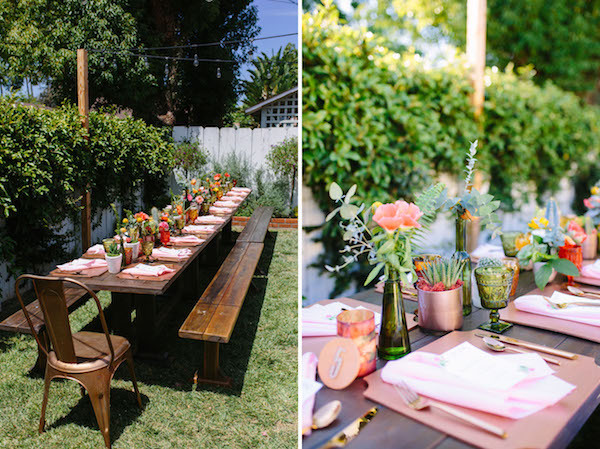 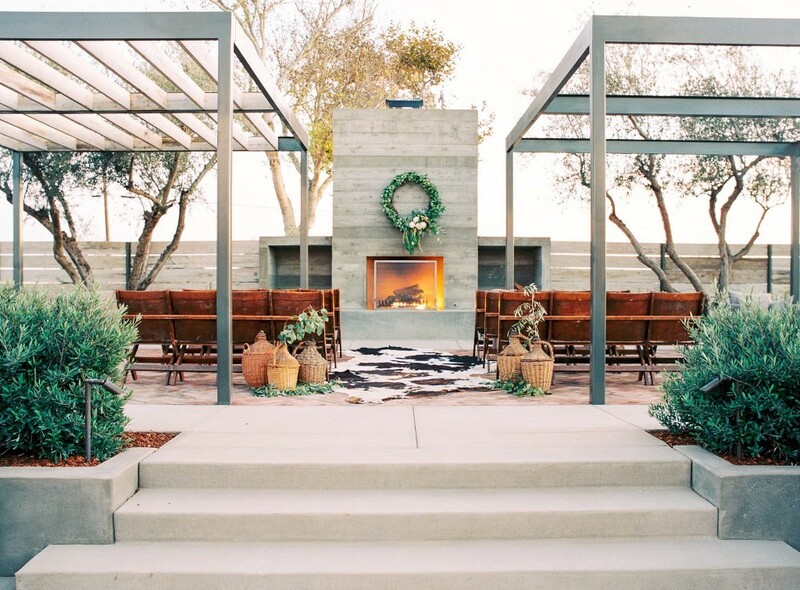 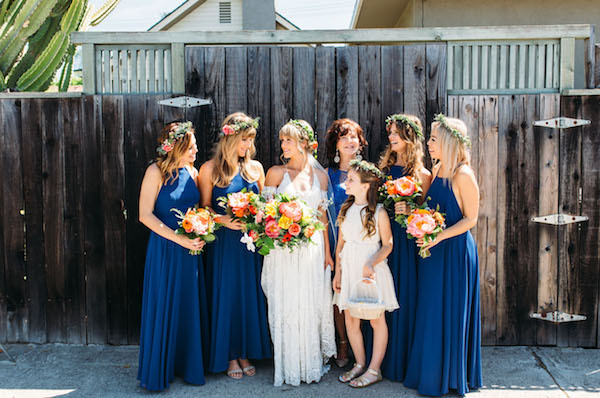 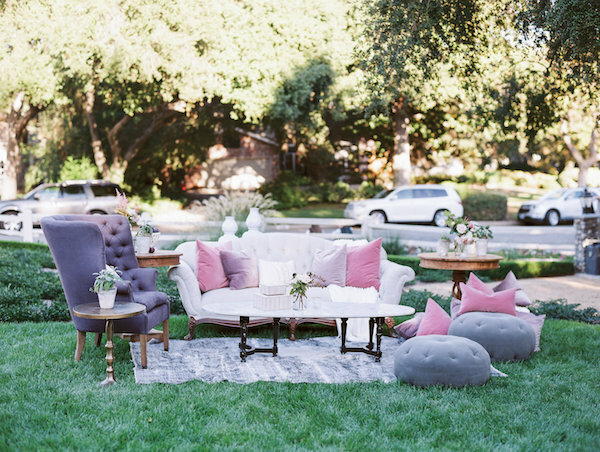 Laura & Doug were married over the summer at a chic backyard celebration. 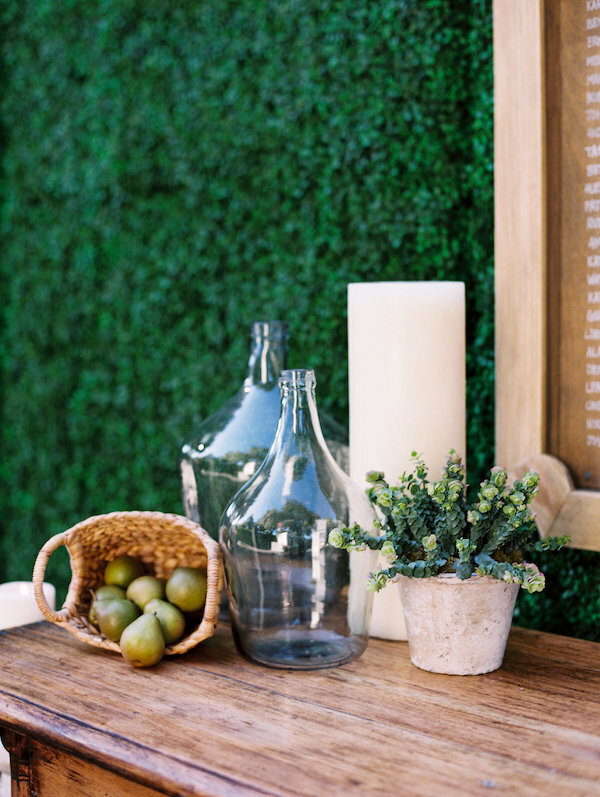 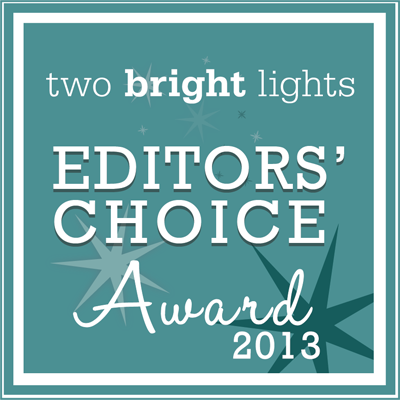 We’re so glad that they incorporated our pieces in their celebration. 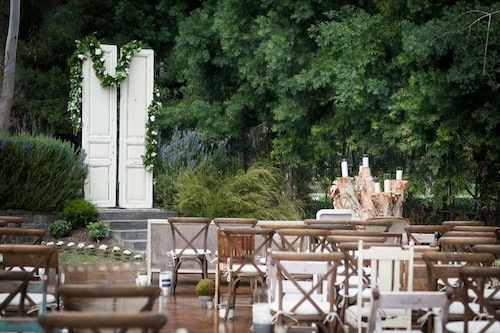 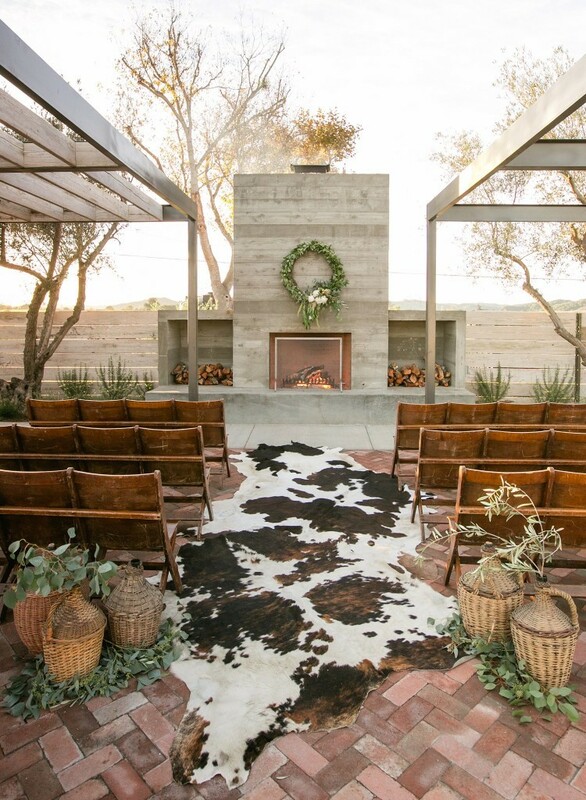 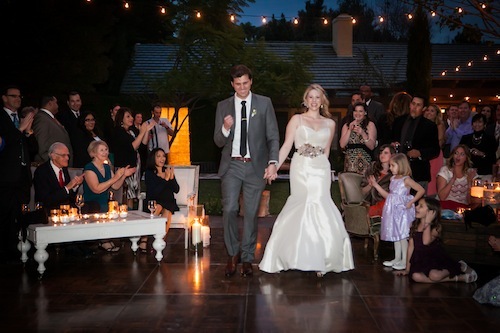 The intimate outdoor ceremony used our vintage church pews (as well as additional chairs) and an asymmetrical aisle. 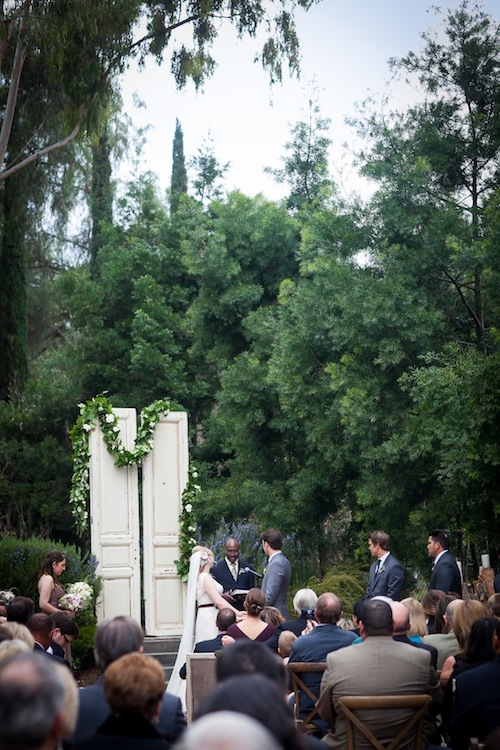 Here’s Laura’s gorgeous knee-length dress & our metal urns flanking the ceremony altar. 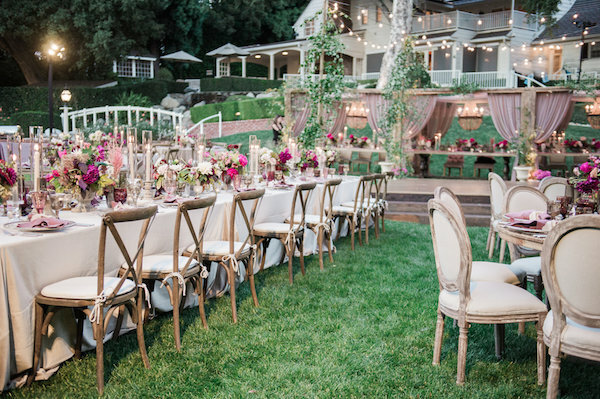 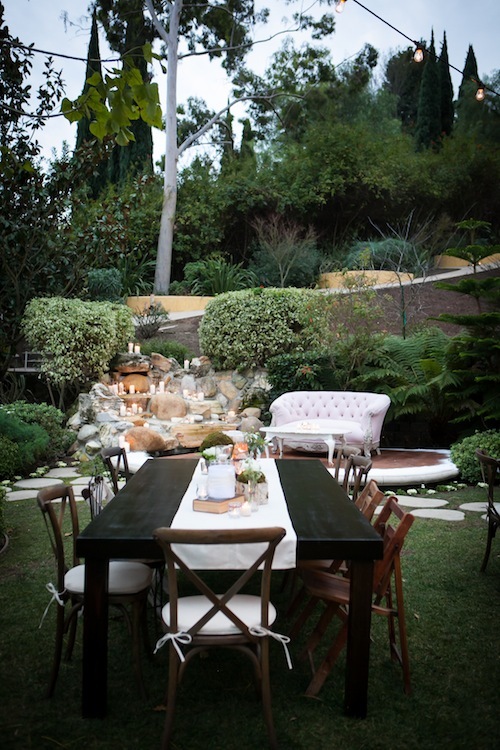 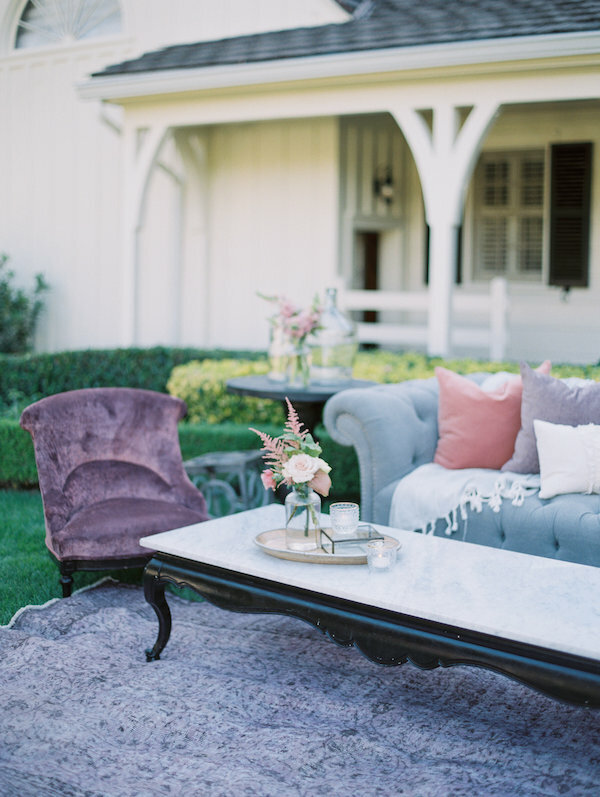 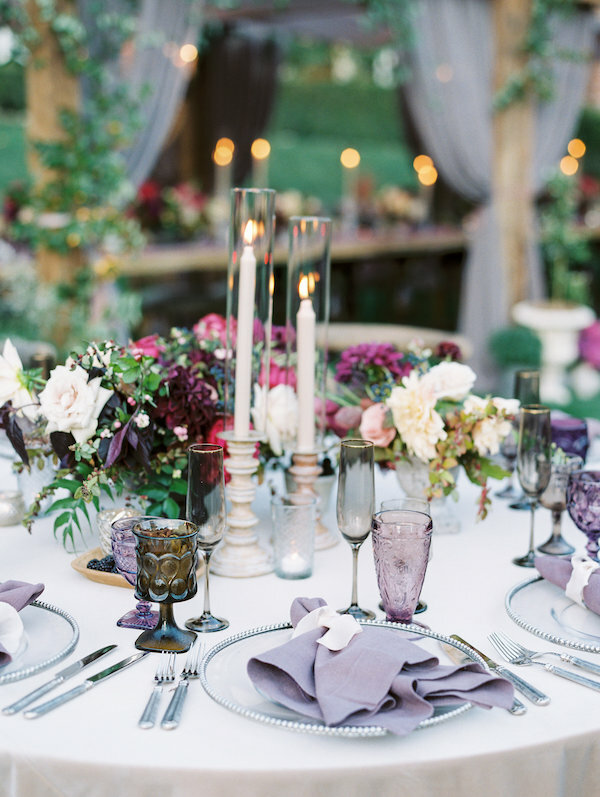 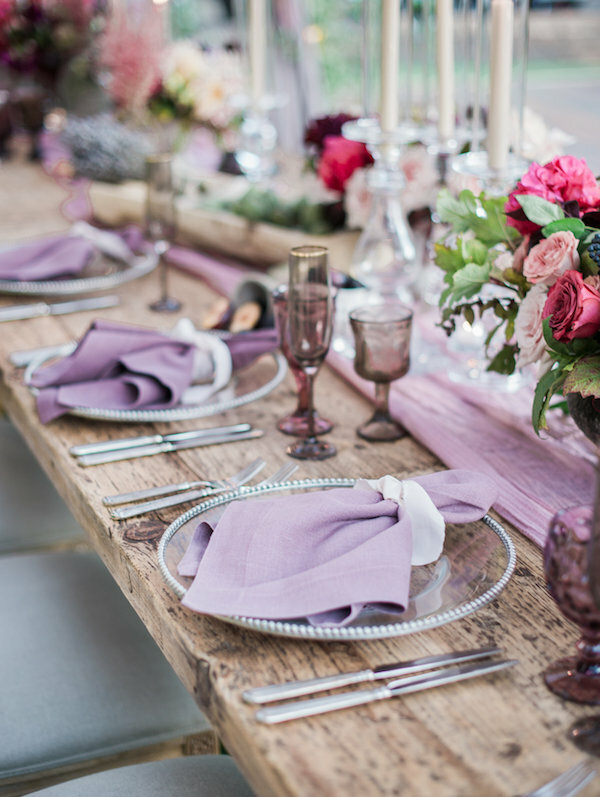 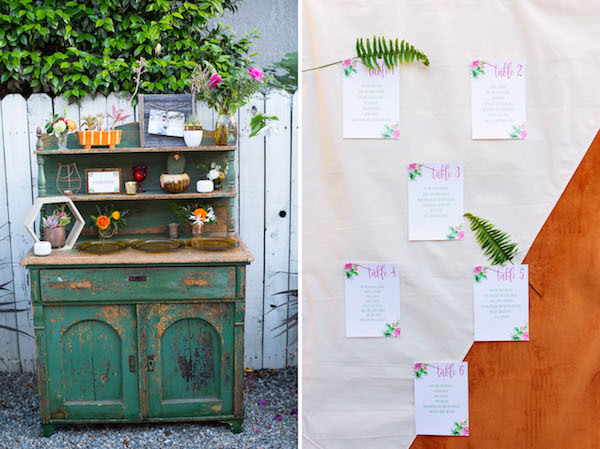 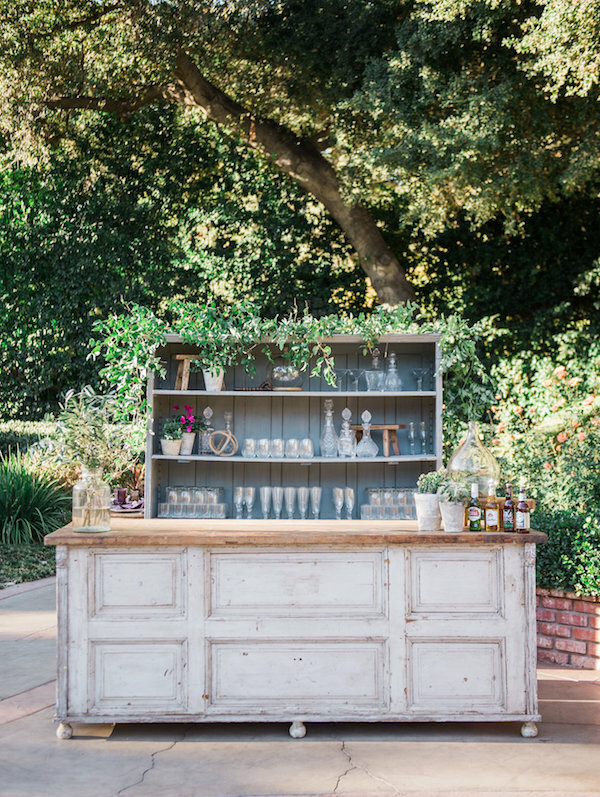 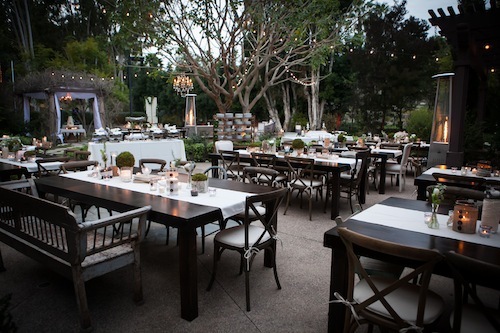 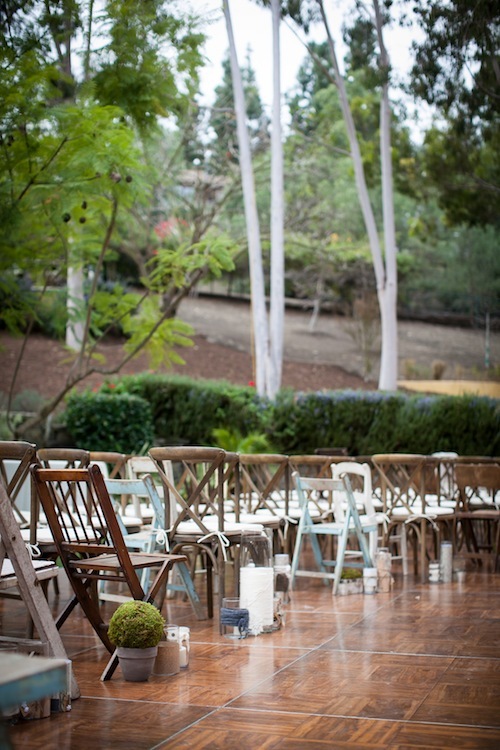 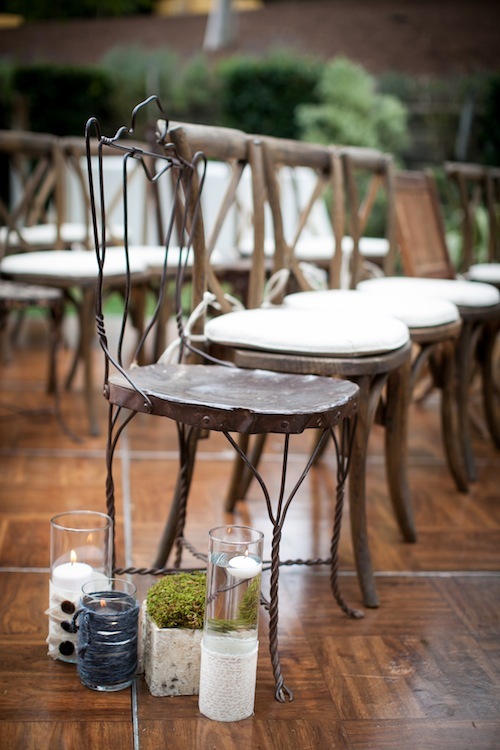 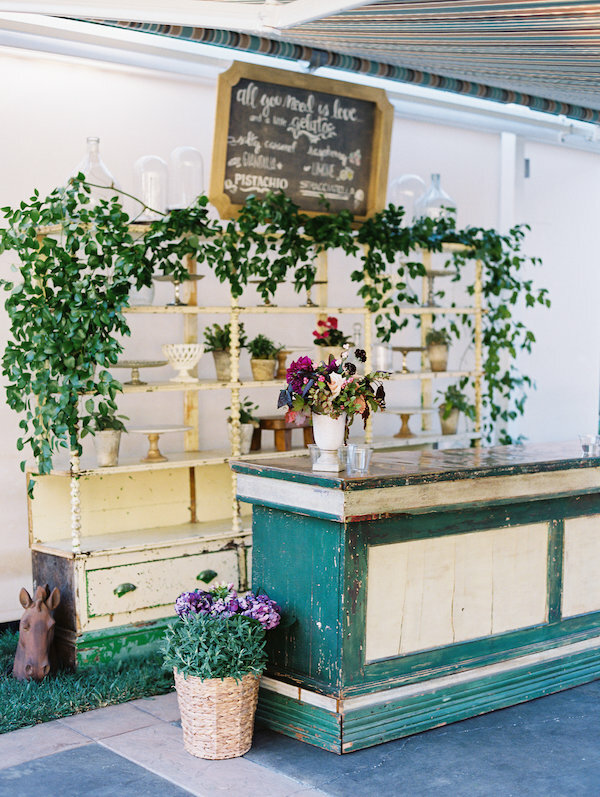 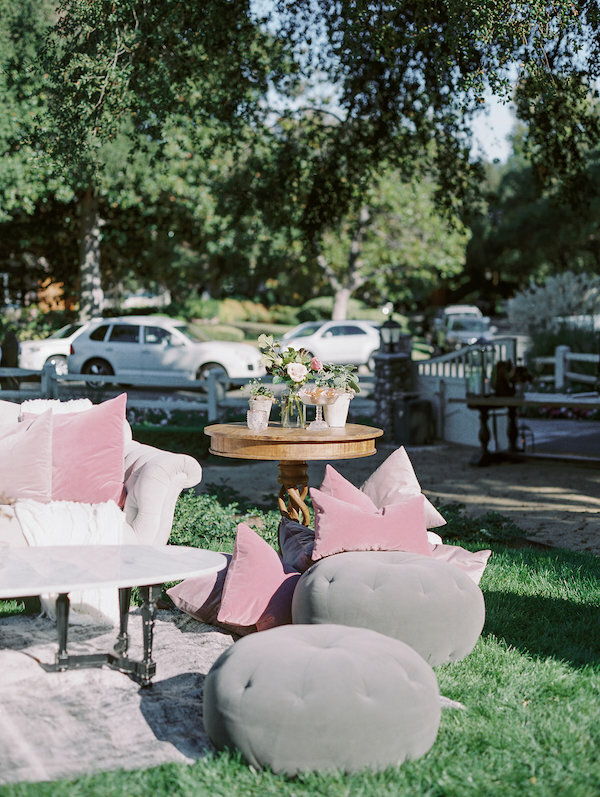 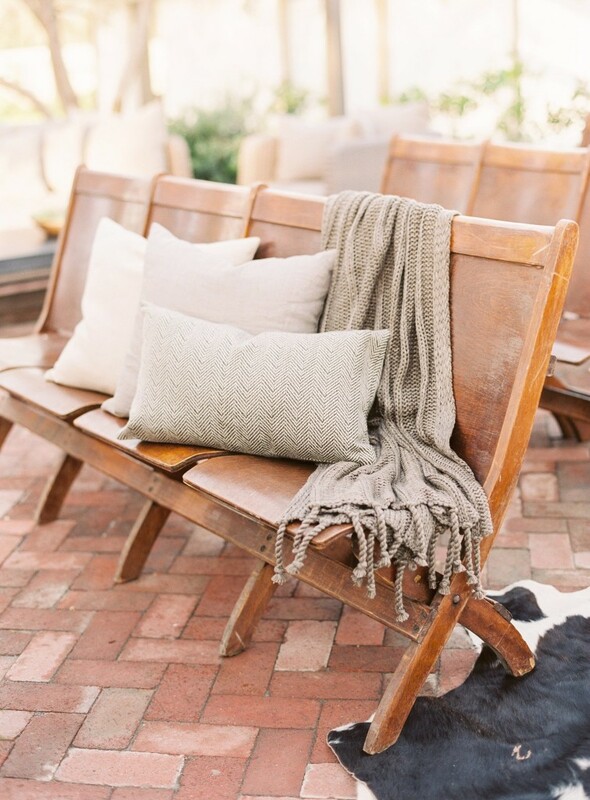 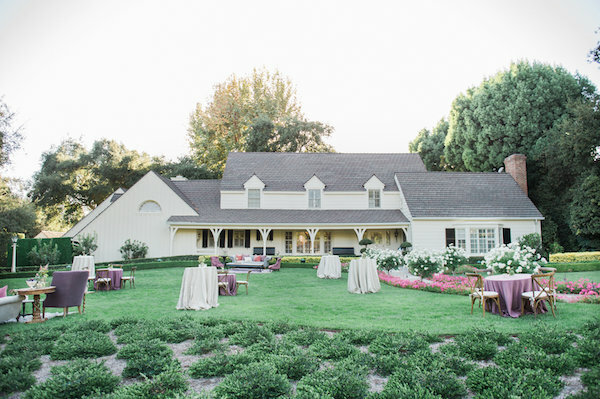 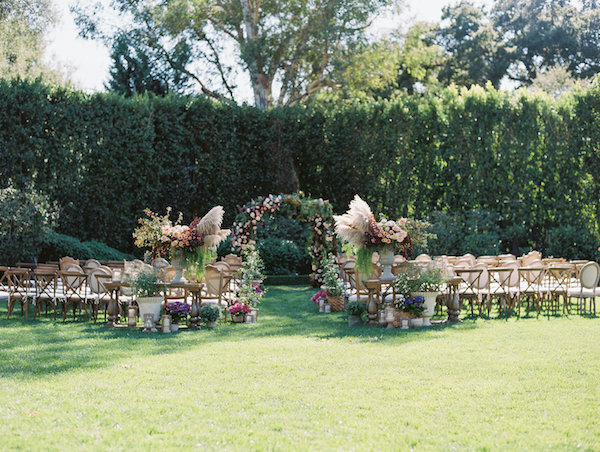 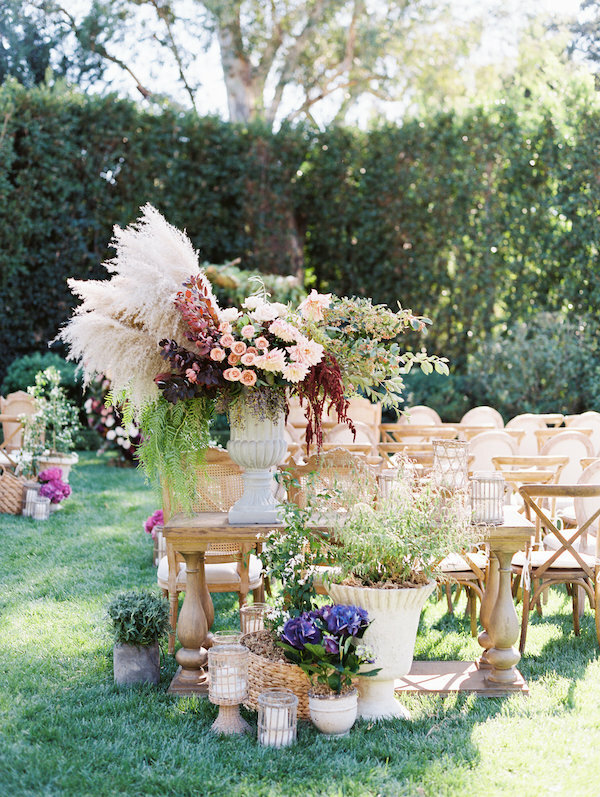 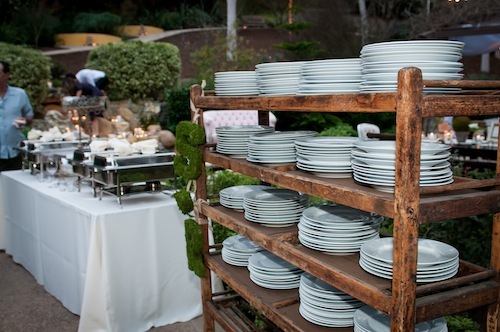 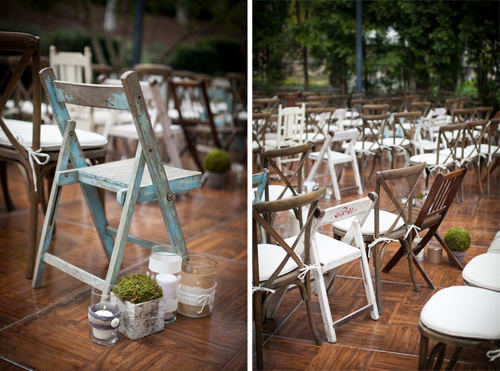 At the reception, Laura & Doug used many of our mismatched farm tables to seat their guests. 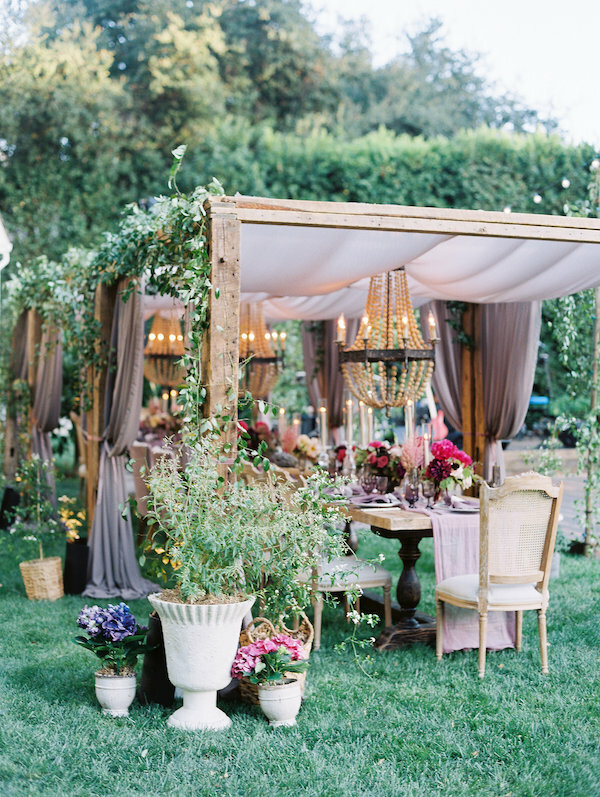 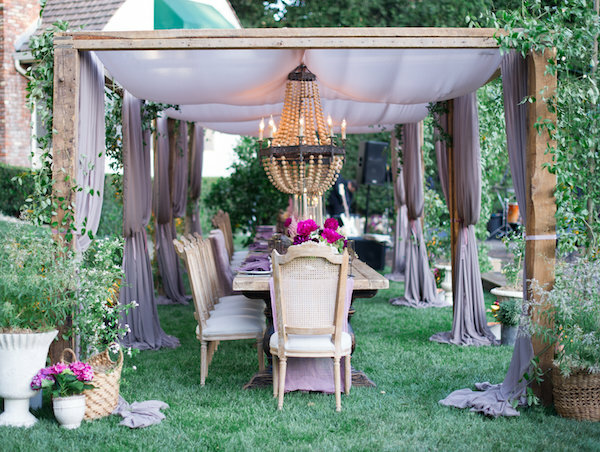 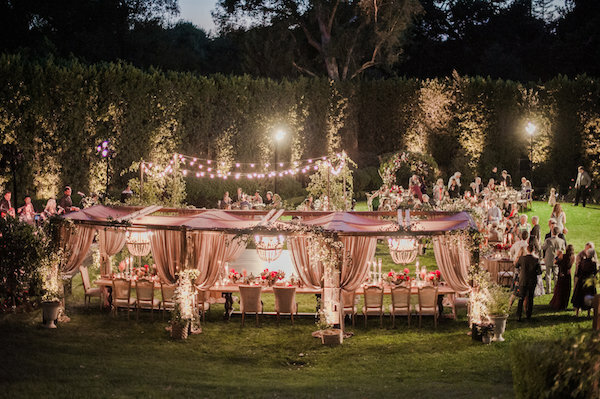 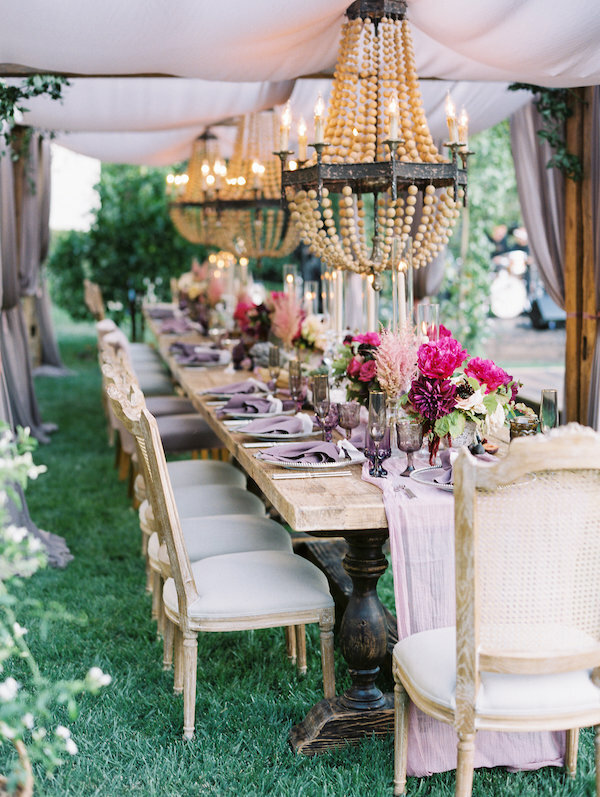 Our gold chandelier added just the right amount of whimsy to this chic celebration. 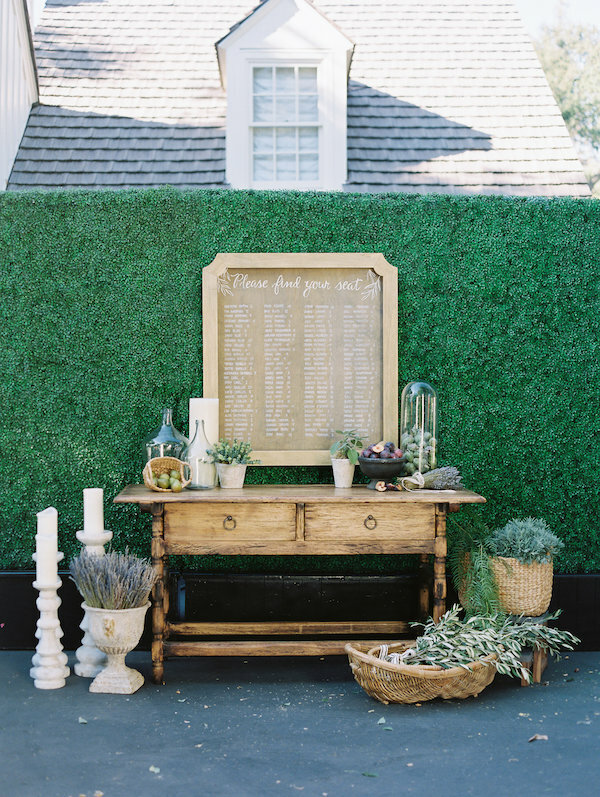 Scrabble tiles from our collection were set throughout the reception area spelling sweet sentiments and table names. 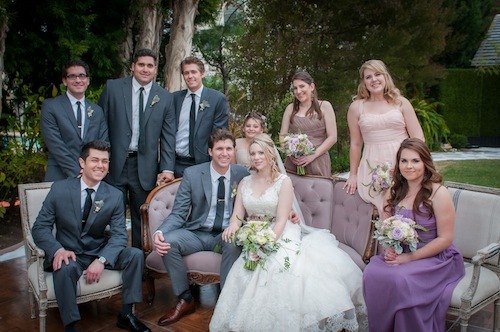 Thanks to Laura & Doug for including our collection in your marvelous day. 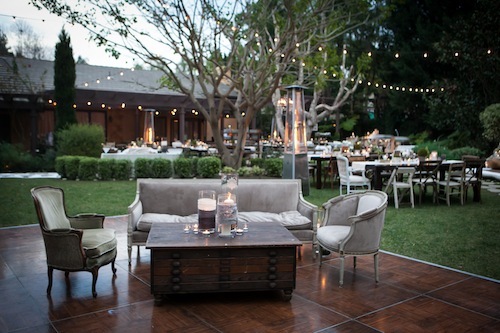 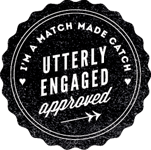 We’re so thankful that we got to be a small part of your celebration. 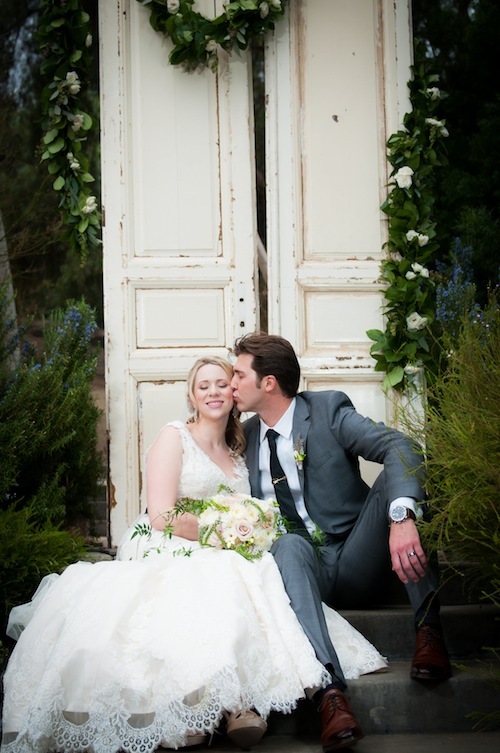 All pictures courtesy Studio EMP. 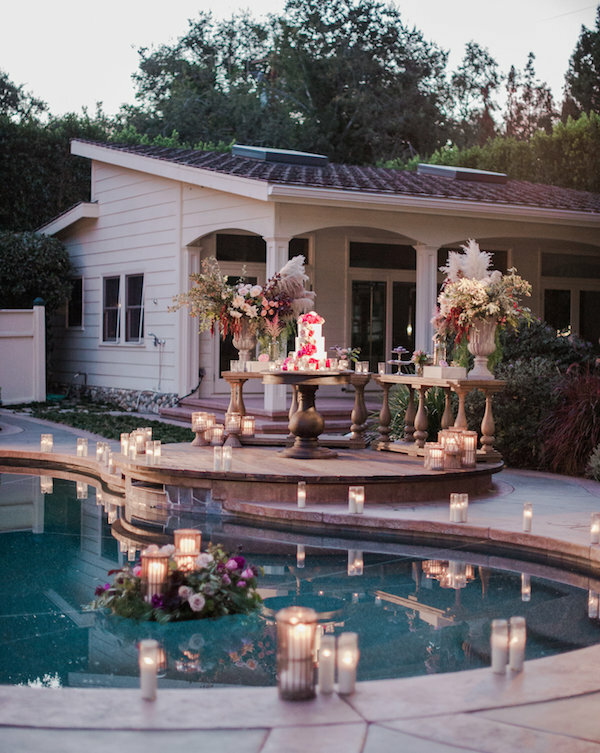 To see more images, check out the features on Wiley Valentine here & here.